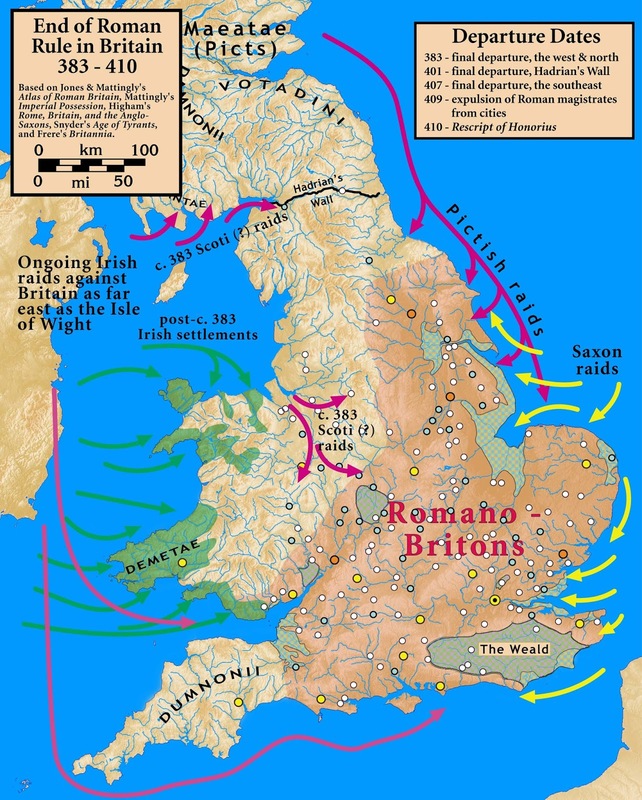 In the early 400’s, the Roman empire was forced out of the area we now call Britain by the Anglo-Saxon forces, and with it brought what was believed to be the end of a group named Romano-British. However a fine-scale genetic analysis of genes shared in British inhabitants shows that the Romano-British survived the invasion and slowly interbred with the Anglo-Saxons to form the British population we know today. The British islands were completely empty around 10,000 years ago due to the ice age receding and exposing the land, nomads slowly trekked from mainland Europe over land bridges to the newly exposed land. The researchers determined that those in western wales share the most genetic information with these original inhabitants of the land. Another discovery was that the population of Northern Scotland shares about 25% genetic makeup with ancestors from Norway supporting a theory that the two lands were once connected. Oddly enough the researchers discovered little to no traces of foreign rule from the Danish in early 11th century nor Norman population in the 1060’s but were mostly dominated by the Roman linked DNA as Caesar's rule put a high priority on intermarriages between local populations and the Roman Empire. The Infrastructure of the Roman empire allowed for easier relocation to Britain from all across the Roman Empire, creating a more diverse population. It is interesting to find out the background and the different populations that contributed to what we currently call Britain. Britain may seem like a small nation if you compare population sizes of the different nations in the world however Britain plays a key role in many cultures throughout the world. Seeing as Britain once controlled 3/4ths of the entire world and is now reduced to a small mound of land that is no larger than the US state of Michigan, fragments of British DNA are scattered around the world and knowing what makes up this DNA lets us understand what influences other cultures that were once under British rule. Just goes to show us, without science-history cannot be fact based. Really good article, I was shocked to read how the roman empire created a more diverse population through relocation in Britain through the works of DNA!